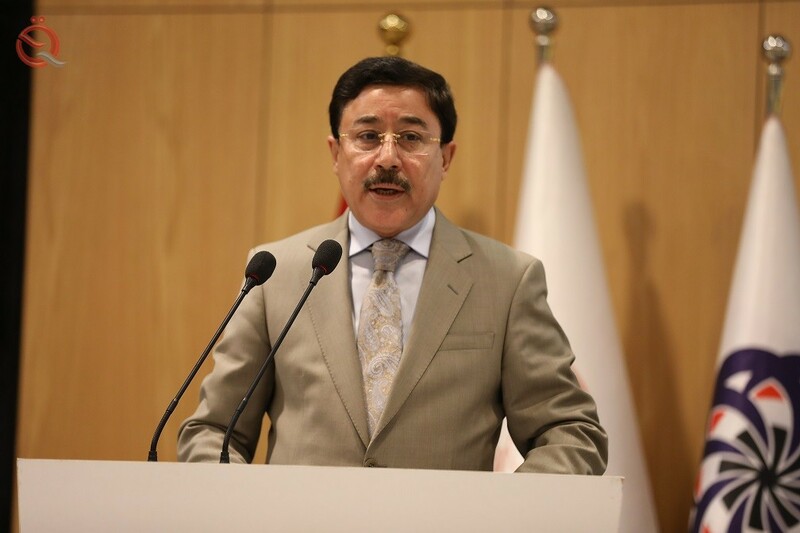 Economy News _ BaghdadThe Central Bank of Iraq (CBE) governor Ali Al-Aalak said the Central Bank is about to issue a detailed document on auditing and IT governance at banks. "The document is currently in the final review stage and is being discussed with banks and will be binding on the relevant parties," Al-Aalak said at the inaugural ceremony of the ISACA branch for auditing and monitoring information systems in Iraq. "Until recently, On the service of those inside the institution, but today many of these systems are open to the outside world, "stressing the need to meet this development with the development of risk management resulting from these systems. Al-Alaq stressed that "the Central Bank, as a result of its supervision and control, has evolved from the traditional control to the control that takes advantage of and employs modern technology in its operations," pointing out that there is a shift in the central bank towards electronic auditing. This world-class institution, which is present in more than 200 countries around the world, is only a vivid example of the openness of the world to Iraq and the openness of Iraq to the world. " He pointed out that "the importance of the existence of such an international institution in Iraq, being one of the major references in the world in the establishment of the foundations of auditing on information systems and security and preservation,"
noting that "the world has become a small village, thanks to the tremendous development in the field of information systems, data processing and circulation, And the development of countries is measured by the development of electronic and information systems. " He stressed that the role of the Iraqi Central Bank in the development of the banking sector in Iraq is a leading situation in Iraq as a whole, as the Iraqi Central Bank is actively pursuing the development and modernization of this sector, "pointing out that" the development of electronic technologies and information systems in banks is The best way to upgrade Iraqi banks to global. " He stressed that "the Association of Iraqi private banks is following closely and as a strategic partner of the Central Bank of Iraq and work to improve the banking sector in all fields, so this event came in cooperation with the Association of Banks to the importance of the role played in this vital area." Posted in baghdad, bank, Banking & Finance, Central bank, Central Bank Iraq, Central Bank of Iraq, Central Bank or Iraq, Economic News, Dinar Speculator, Iraqi Economic News.